Plymouth Record, library has 1956-1973 in paper, as well as a number of scattered issues dating back to 1887, located in Archives/Special collections. Plymouth Record, library has 1956-1973 in microfilm, Lower Level near Curriculum. Record Citizen, library has 1973-1993 in microfilm, Lower Level near Curriculum. Record Enterprise, library has 1993-2009 in microfilm. Lower Level near Curriculum. Record Enterprise, current, not on film. Located on newspaper shelves, on the Lower Level, near the cafe. 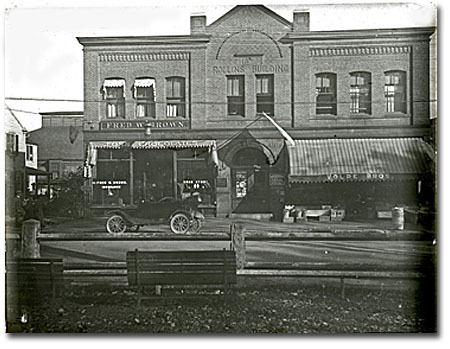 Town of Plymouth Annual Reports from 1887 to the present are available in Special Collections. The reports contain detailed town budget information, reports from all town departments (e.g., police, library, district court, etc. ), as well as records of births, deaths, and marriages. 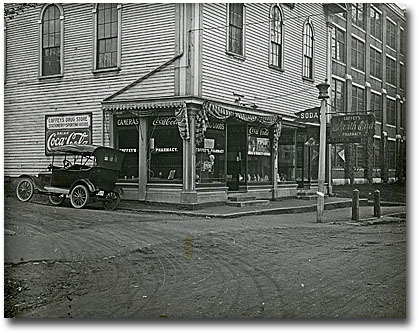 Digital images of Annual Reports of N.H. Cities and Towns can be found at The University of New Hampshire’s Digital Collection website. The sources listed below are frequently used histories of the town of Plymouth and also Plymouth State. Please note that there are circulating copies of these items, as well as Special Collections copies. The Plymouth Historical Society website has much historical and genealogical information about the town. The Society’s collection of photographs of Plymouth residents and buildings can be viewed at their location on Court Street in Plymouth. On This Spot, the Plymouth, NH Historic Site Walking Tour, was created by the Plymouth State University Public History Class and the Plymouth Historical Society. The histories of the town of Plymouth and of the school have long been intertwined, and information sources that cover one often also cover the other. For more sources, visit the History of PSU page. New Hampshire Sanborn Maps are a collection of historical maps of towns and cities giving detailed information on structures and building location for insurance purposes.